On the eve of the company's novelty, the paparazzi came across. 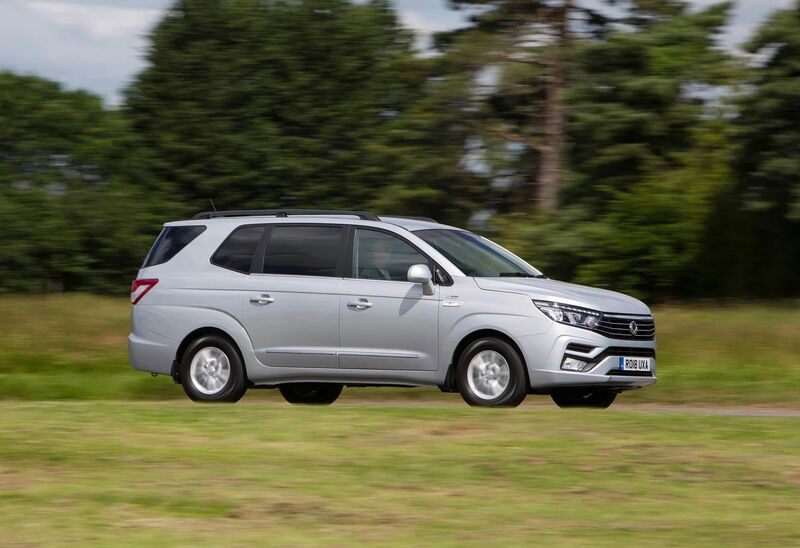 The length of the SsangYong Turismo reaches more than 5 m with a wheelbase of 3 m. The luggage compartment will be 875 liters by volume, however, having folded the third row of seats, its volume grows immediately to a huge 3146 liters. We add that the Turismo EX is an entry-level configuration, where there is a seven-speed automatic transmission from Mercedes-Benz, interacting with a 2.2-liter diesel power unit from the same Mercedes. By the way, the current SsangYong Turismo basic performance is estimated in the UK at least 20,465 euros, and the version - at least 26,995 euros.